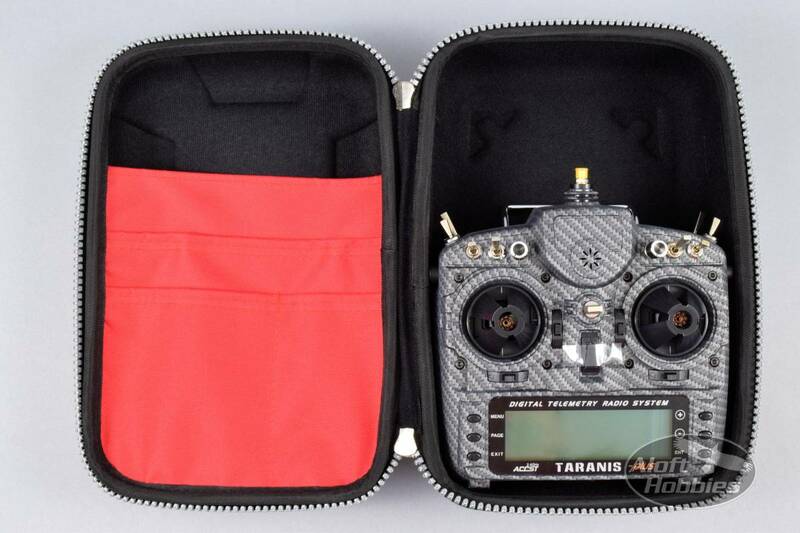 Here's a nice case for your transmitter; or your transmitter and a pair of goggles. 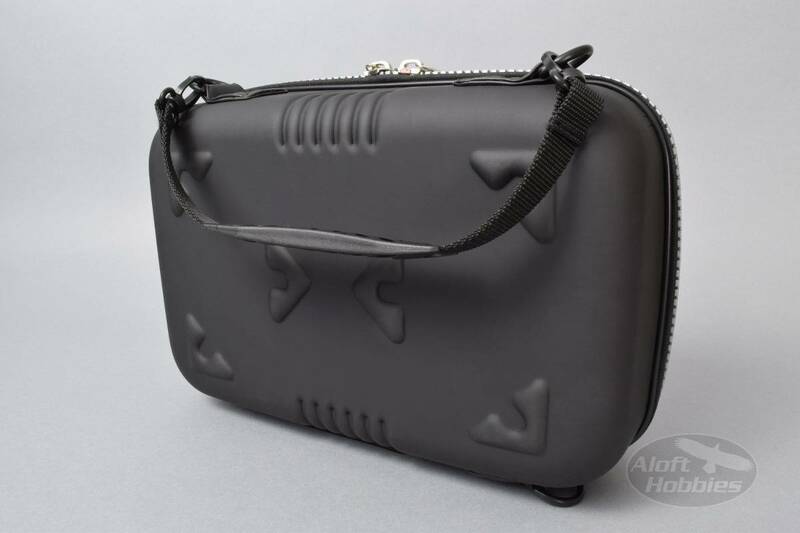 Features a massive, no bind zipper and interior pockets for storing cables, papers, small tools or what have you. 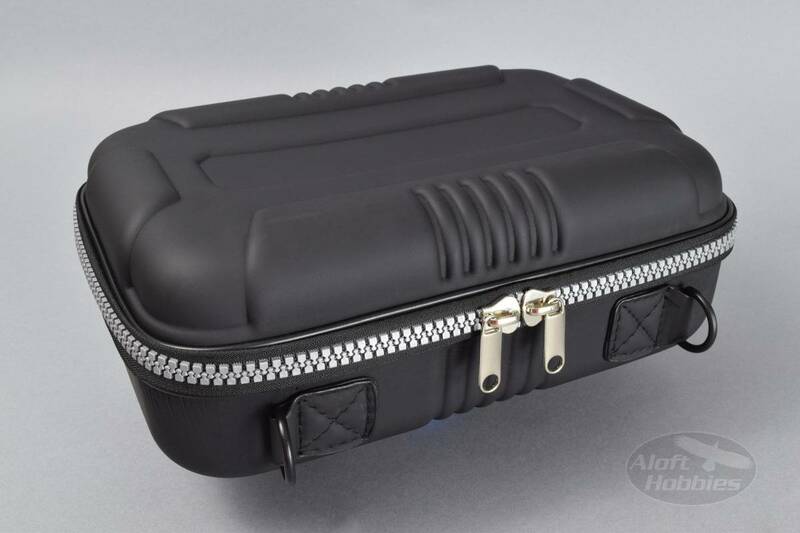 Comes with a clip on carry handle that connects to the end of the case or clips on lunchbox style. 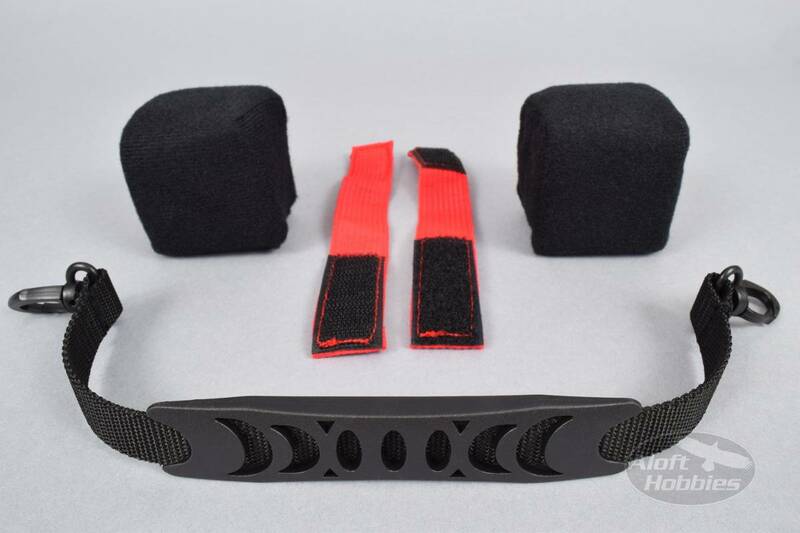 The two cloth covered foam filled pillows in the picture, have velcro bottoms and can be attached anywhere within the case and will help keep your goodies from sliding around during transport. 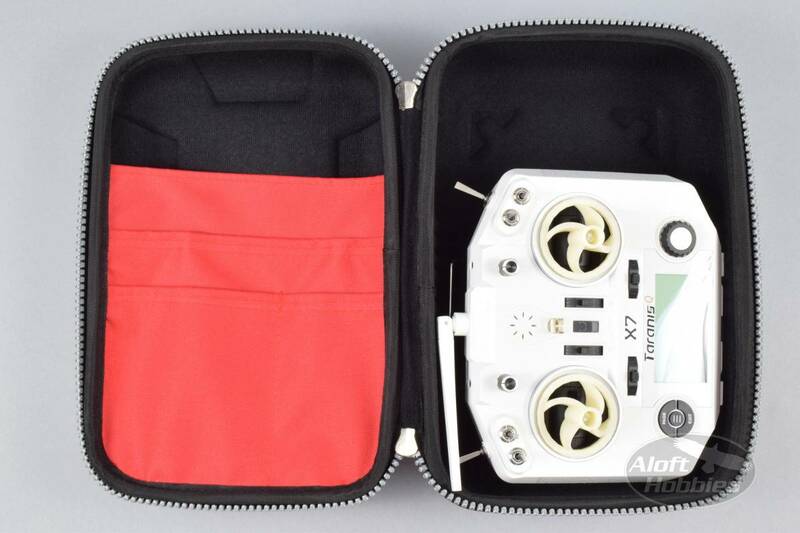 The same goes for the red velcro strap; it will attach anywhere in the case and wrap around items you want secured. note: When pockets are filled with items, the pockets will make contact with the longer switches.